It has become painfully clear since June's vote to leave the European Union that Theresa May's government and its supporters have little or no idea where the country is heading. Lacking a plan or a shared philosophy, they are united by an arbitrary and destructive rush to the exit. Their hysterical reaction to last week's unanimous high court ruling that Britain cannot quit the EU without parliament's consent also reveals extraordinary ignorance about where we, as a country, have come from. It is dismaying that those who campaigned so passionately to reclaim British sovereignty appear not to have the first idea about their country's long-established constitutional arrangements. It is a fundamental principle of British democracy that parliament is sovereign. Not the government. Not the executive or a self-selecting clique within it. Certainly not this prime minister, who lacks a personal mandate. Sovereign power resides with our elected, representative parliament. This state of affairs did not come about by chance. A power struggle between the crown and its subjects raged almost unceasingly in the centuries following Magna Carta. The proposition that the monarch cannot rule without parliament's consent lay at the heart of England's serial 17th-century civil wars. The question was settled by the parliamentarians' victory at the battle of Worcester in 1651. Parliament's ascendancy was legally established in the Glorious Revolution of 1688, which spawned the landmark Bill of Rights. It is also a long-established fact of British constitutional life that the country's senior judges do not make domestic law. Their independent role is to interpret laws agreed by parliament, say what they mean and how and if they may be legally implemented. When Britain joined what was then the EEC, the European Communities Act, passed by parliament in 1972, incorporated many European laws into domestic law. Thus it is both illogical and ignorant to castigate the high court for doing its job and stating the constitutionally obvious: that having passed the act, only parliament can override it by consenting to activate article 50 of the Lisbon treaty. Yet castigating the judges and by extension, anybody who has the effrontery to agree with them, is exactly what the hard Tory Brexiters and their accomplices in the lie factories of Fleet Street have resorted to with a venom, vindictiveness and vituperation remarkable even by their standards. The will of the people has been thwarted by an "activist" judiciary. These bewigged, closet Remainers, members of the fabled "well-heeled liberal metropolitan elite", are "enemies of the people", they shriek. Some of these sleaze-peddlers even dipped into homophobia, highlighting the sexual orientation of one of the judges. Inexcusable. This is mendacious bile. It wilfully misunderstands the relationship between parliament, government and the judiciary. Partisanship is understandable, but this level of stupidity is unforgivable. It misleads and distorts - either deliberately or out of ignorance. As Hilary Benn pointed out yesterday, the high court judgment has nothing to do with defying the "will of the people". As he explained, "the judgment is not to do with the fact that we will be leaving the European Union. It was a ruling on who starts the process, who fires the starting gun and in upholding the principle of parliamentary sovereignty… the judges said that since it was legislation that took us in, it should be parliament that takes the decision to start that process and not the government." Or here is Conservative MP and ex-attorney general Dominic Grieve speaking on Newsnight on Friday: "I was horrified at the newspaper coverage, which reminded me of Robert Mugabe's Zimbabwe. The judges did exactly what was asked of them - they highlighted that our constitution does not allow you to overturn statute law by decree." The judiciary are at the heart of our commitment to the rule of law and those who question their legitimacy (because they disagree with their view) threaten to undermine a critical institution vital to our democracy. Yesterday, the Bar Council took the extraordinary step of asking the lord chancellor, Liz Truss, to condemn the "serious and unjustified" attacks on senior judges over the Brexit court ruling. Senior judges having to appeal to the lord chancellor to defend them from unjustified attacks, in Britain, in 2016? Since 23 June, the country has loosed itself from tolerant, civil discourse - on both sides. The world has often looked to Britain as an example of a pluralist, inclusive democracy and a cultured, ordered and civil society. But that is changing. As the world looked at the response of politicians and the popular press to last week's court judgment, many will have concluded that it had more in common with Sisi's Egypt or Erdoğan's Turkey than the Britain they thought they knew. A country that hounds, demonises and implicitly threatens its independent judiciary is one that toys menacingly with the very tenets of democracy. We noted in these columns some weeks ago that Theresa May, who coined the phrase the "nasty party" to describe the Conservatives some years ago, was threatening to turn Britain into the nasty country. That is increasingly the message being sent across the world. It is also the message being sent to foreigners living here, including long-resident EU nationals now afraid to speak openly for fear of rebuke or worse. Many more reasonable Brexit supporters have rightly distanced themselves from campaign to demonise the judges responsible for last week's ruling. But the government's ill-advised decision to appeal to the supreme court means judges sitting on England's highest bench, who will consider the matter next month, may now also be subject to overt political pressure and similarly contemptuous, intimidatory invective. In Turkey or Burundi, such tactics by the state and its surrogates might not be considered surprising. But here? What sort of country is Britain becoming that this sort of menacing behaviour is not only tolerated but implicitly encouraged by senior government ministers who fear, correctly, they are losing the argument? As has been repeated ad nauseam, the issue is not about reversing or somehow sabotaging the referendum result. It is about ensuring proper democratic scrutiny of the government's negotiating positions, about ascertaining whether its approach advances the national interest rather than sectional, business and City interests. It is about getting the best deal for Britain. The concerted assault on the judiciary comes in the context of wider institutional vandalism indulged by the hard Tory Brexiters and their international sympathisers and emulators. They would recklessly tear up nearly 45 years of carefully navigated British relationships with our European neighbours. The resulting damage to the economy and living standards is mounting fast. Much worse is to come. In America, Donald Trump runs a presidential campaign based on fear, prejudice, ignorance and xenophobia, which he claims represents change, not abject regression, and threatens to reject the election outcome if it goes against him. The dire cost of Trumpism to America's national unity and cohesion is already plain. Across Europe, iconoclastic extremist and nationalist parties compete to demonstrate who is most intolerant, most hateful and best at scaring people. In France, their vile message may be working as presidential elections approach and the Front National gains ground. 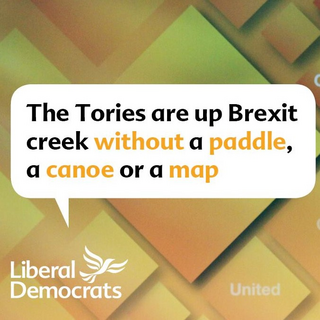 But hard Tory Brexiters do not see the link, deny any crossover, cannot understand how their institutional dumpster fire stokes nihilism and chauvinism. They dwell in their Little England bubble, detached from the real world or, as the high court said of their article 50 arguments, "divorced from reality". Anybody who disturbs their narrative, such as Stephen Phillips, who resigned as a Conservative MP on Friday, is shunned as a blood foe. Nick Clegg, for daring to add his voice to the democratic debate over Brexit, is ridiculed. Will these people who hound reasonable public figures ever understand what a mature democracy involves? Formidable, robust, intelligent and reasoned debate. As Dominic Grieve said: "Debate helps outcomes, suppressing it destroys it." Would they rather our public discourse - and hence, public life - be characterised by childish slurs, homophobia, distortions and vicious rhetoric? That is where Britain is being driven by a new hard Brexit elite. It behoves any sensible, reasonable public figure to recognise that a 52-48 referendum result is one where national cohesiveness matters. And while it delivered a mandate to exit the European Union, it did not give sweeping powers to brush aside challenges on the nature, timing and texture of that exit. There is a lack of reason on both sides of this debate and there is a danger that the public fissures that have opened up since June 23rd become wider still. We all have a responsibility to ensure that does not happen. As Iain Martin says elsewhere on these pages, "Neither set of extremists is representative of, nor has a majority in, parliament or the country. What becomes ever more apparent over Brexit is that there is a need for an alliance between moderate (of which there are many) Leavers and moderate Remainers, those who regret the result on 23 June but accept it." The truth is, hard Tory Brexiters are fearful of losing the argument. The truth is there is little confidence that May can keep her head and rein in the irresponsible fantasies of her more wild-eyed colleagues. The truth is, May has already shown a talent for wrong-headedness, an instinct for the bad call, as seen with Hinkley Point, grammar schools, child obesity and Nissan subsidies. She appears unable to grasp the EU's blunt insistence that access to the single market cannot be divorced from freedom of movement. The disdain, scepticism and bewilderment of Britain's EU partners is wounding. At last month's Brussels summit, her first, May was kept waiting until the early morning before being allowed to deliver a short statement on Brexit. She was listened to in silence. Nobody deigned to respond. On Friday, her calls to Germany's Angela Merkel and the commission president, Jean-Claude Juncker, when she tried to persuade them, implausibly, that her March deadline for article 50 still stood, were embarrassingly brief. Few in Europe now believe Britain's government has a roadmap. In such circumstances, it is imperative that parliament, now given its chance - and reminded of its duty - to shape Britain's future course by the high court, steps up to the mark. For too long, too many MPs who support continued EU membership (a majority overall) have been cowering in silence, fearful that any expression of unease over the Brexit process will be misrepresented as a bid to overturn the referendum result. No one disputes the result of the referendum, or the social, cultural and political tensions that delivered it, but it is right that the manner of our exit are properly scrutinised. That has yet to be decided. And parliament, rightly, has a role to play. To be worthy of its sovereign status, both Houses of Parliament should now inject themselves into the Brexit process. This means cross-examining ministers and demanding a green paper on the government's plans. It means proposing alternative strategies. It means amending and, if need be, discarding wrong-headed approaches. And it means the holding of binding votes not only on when article 50 should be triggered but also on the final terms of any eventual exit agreement. In short, parliament must be ready to exercise veto power over any Brexit deal that does not ultimately serve the national interest - because this government simply cannot be trusted not to deliver serious economic self-harm on the altar of blind ideology. It is a tall order. The growing prospect of an early general election, should May continue to trip, fumble and flop, presents many MPs with an existential dilemma: whether to vote with their conscience and uphold the democratic rights of parliament and their constituents or be pushed and pulled along by a populist tide, propelled by lies. Most Labour MPs, for example, represent constituencies where a majority voted Leave. It is still likely that last week's ruling proves a pyrrhic victory, by provoking an early election that, with the current dire state of the Labour party, will give May an enhanced majority. Thus, we will have a parliament with fewer teeth and providing less scrutiny or push-back than is required. Perhaps prodded by the shadow Brexit minister, Keir Starmer, the Labour leader, Jeremy Corbyn, could be stirred from his lethargic ambivalence over Europe. If the Liberal Democrats and Scottish Nationalists add their voice, as Nicola Sturgeon suggests they will, in opposition to any hasty Brexit "plan", and if the House of Lords finds the courage, as it has in the past, to challenge unwise and overweening executive power, it is possible a sensible path forward acceptable to the country as a whole - and to Europe - can yet be found. Last week, independent judges courageously stood up for constitutional governance in Britain and, defying the bullies, did their job. Now parliament must follow suit.